Nearly everyone has a need for concealing or hiding valuables within their home from potential thieves – or maybe even from certain family members! Below I share several options for how to effectively do this, including one option you may not have heard of, called concealment furniture. Whether you’re hiding money, jewelry, a firearm, or any of a number of other items, you want to ensure that you feel confident that no one is going to find your valuables. Taking a break from my typical scientific articles here on InfoBarrel, I hope this article will help many people. Credit: Used by permission of Hidden Stash Safes. An example of concealment furniture. This unassuming nightstand has a hidden compartment underneath. This is something I only found out about recently, and it prompted me to write this article. Concealment furniture looks like ordinary furniture, but has hidden compartments such as drawers that you can’t tell are there when merely looking at the item. One example of how this could be used is as a gun safe within a nightstand next to your bed. Consider how much better this is, for example, than keeping a gun under your mattress – and yet it’s still within easy reach and would be next to impossible to find without already knowing about the secret compartment. The products below contains an affiliate links that generates the author a small commission on purchases made through those links. This is an example of what is available on Amazon.com. These appear to be books that could just be sitting on a shelf amongst others, and no one would know they are actually safes. There are many types of concealment safes, also called diversion safes, and the concealment furniture discussed above is one type. Other types may include many ordinary objects that aren’t what they appear. 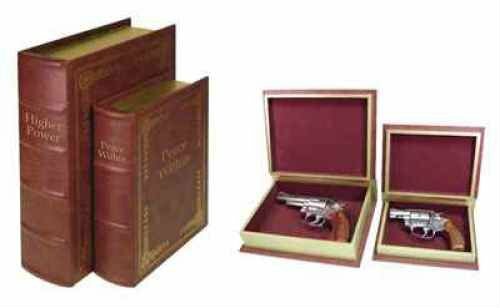 For example, there are safes that look like books (such as a Bible or dictionary - see the example above), or soda cans, or any number of other unsuspecting objects. 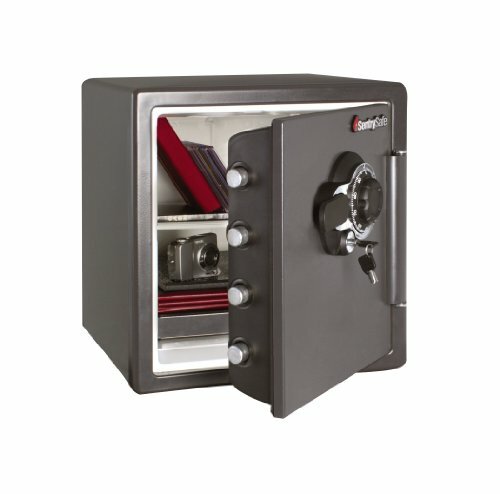 What you use them for is up to you, and you could potentially have a house full of all kinds of safes – fire safes (discussed below), concealment furniture, and concealment safes of other types. Just don’t get so many that you can’t remember them all and what’s in each one! This is an example of a fire safe for sale on Amazon.com, similar to what I own at home, as discussed below. In my bedroom I have a fire safe, shown below, that can withstand 1.5 hours of burning flames, and it is large enough to hold several binders full of important papers. The safe came with bolts for attaching it to the ground, making it completely impossible for anyone to take or steal. Fire safes have different abilities for withstanding fires. Some are rated for 30 minutes, others for two hours or even longer. And they of course come in different sizes, and may have various types of locks. Mine has a combination lock so I don’t have to hide any keys. Just don’t forget the combination! This is what I have at home on the floor of my bedroom closet. It is rated to withstand 1.5 hours of flames, and as you can see by the sticker, it also has additional protection! Oh I like that nightstand with the little drawer at the bottom. In all honesty, the idea of keeping a gun handy still freaks this Canadian girl out a little. I think it's definitely unfortunate that sometimes self defense in this manner could become necessary. I have never heard of concealment furniture, that's a cool market niche, very clever. Good article, thanks.